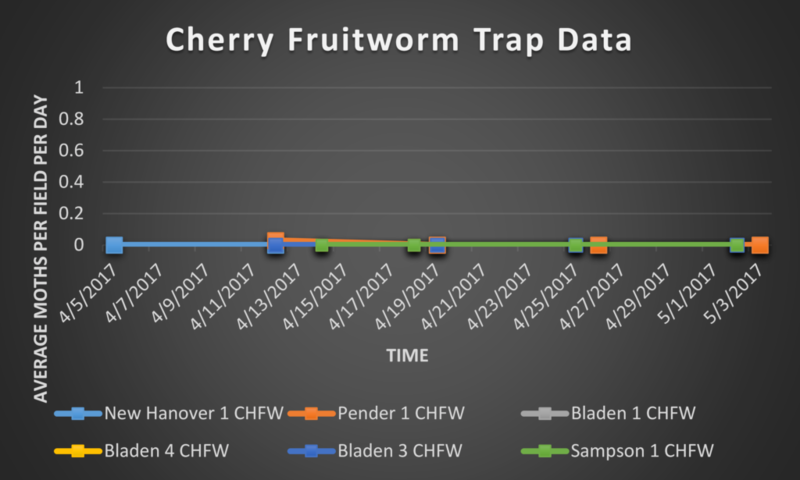 This week, cranberry fruitworm moths are still present in monitoring traps, while trap captures of blueberry maggot fly and cherry fruitworm moths appear to be subdued for the time being. Spotted wing drosophila continue to be trapped at most of our locations, and as fruit start to ripen, management for this important harvest period pest should also begin. 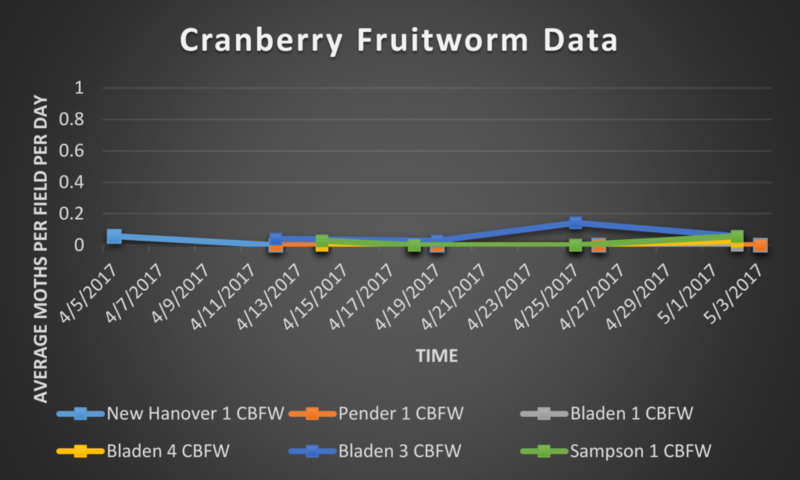 Larval activity of cherry and cranberry fruitworm moth was observed in some fruit clusters as indicated by their distinctive frass (insect droppings) left in clusters, as well as signs of external feeding by these insects. Other insects such as honey bees, dragonflies, butterflies, and leaf-footed bugs, like the two pictured above, were seen not infrequently throughout the fields. 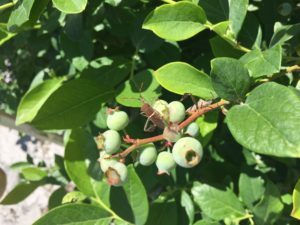 Leaf-footed bugs can be quite common on plants preharvest, but are not pests of blueberries and do not require treatment. We also observed what appear to be stink bug eggs on a fruit sample, but again, these are not pests of concern in blueberries. 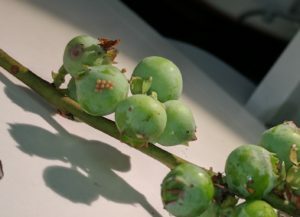 Egg cluster on blueberry fruit, likely belonging to a stink bug. 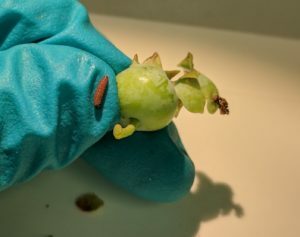 Stink bugs do not generally cause damage to NC blueberries. Photo: Hannah Burrack. 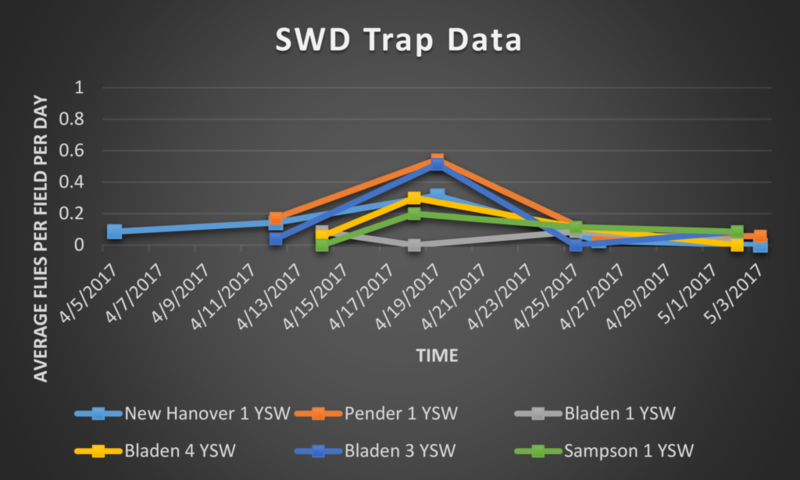 During this trapping period, 0 SWD were captured at New Hanover 1, 2 SWD were captured at Pender 1, 3 SWD were captured at Bladen 3, 1 SWD was captured at Bladen 1, 4 SWD were captured at Bladen 4, and 1 SWD was captured at Sampson 1. 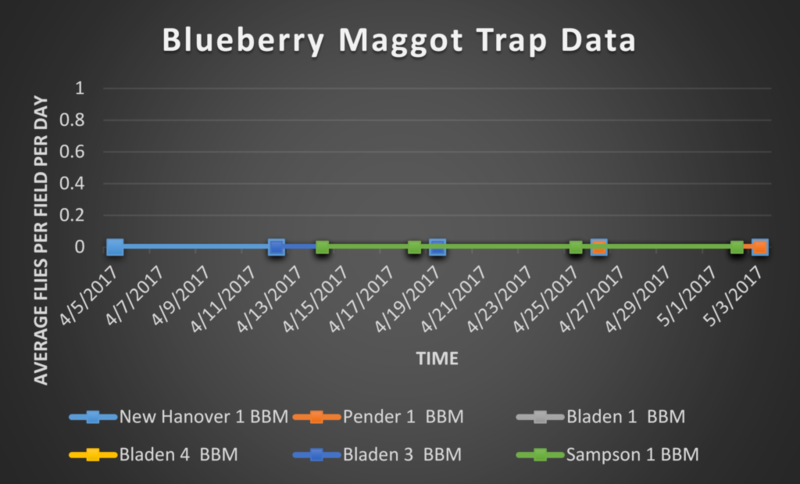 During this trapping period, 1 cranberry fruitworm moth was captured at Bladen 4, and 2 cranberry fruitworm moths were captured at Bladen 3.